When you choose to play online bingo, you have plenty of decisions to make. First you need to decide whether you’re going to play for real money or for free, then to choose which site or platform you’re going to play with. All the bingo sites now offer free bingo games as an incentive to get new players to join in, but also as an ongoing activity that existing members can benefit from too. And many of the free games have significant cash prizes attached to them. I’ve already found my top free bingo online site at Costa Bingo, where players can join a free game every Friday and share in a jackpot of £10,000, as well as there being plenty of free games of bingo with smaller jackpots attached to them available round the clock. You’ll also discover that there are plenty of different bingo games available to play. Some people find they enjoy one game more than another. Traditionally, the most played game of bingo in the UK is 90 ball bingo, and this game is available in many different versions online. Tickets have nine columns and three rows, with five numbers appearing on each row. This means that each card has fifteen numbers between 1 and 90. Wins can happen when one line, two lines and all the numbers are daubed out. The jackpot goes to the person who has all their numbers daubed (Full House). In the US, 75 ball bingo has always been the dominant bingo game. Cards have five rows and five columns and each column has the header B, I, N, G or O. There are 24 numbers on each card, ranging between 1 and 75. 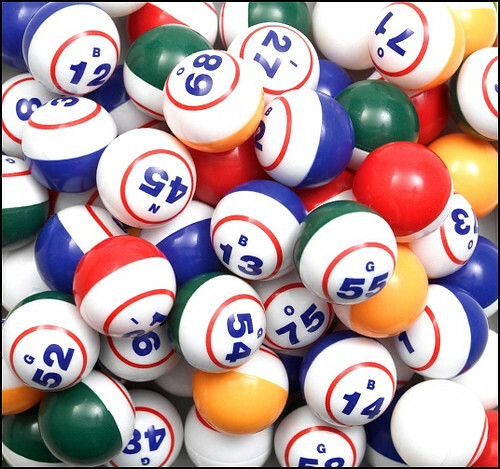 Sometimes, 75 ball bingo is played as pattern bingo, and there are different patterns on the cards which get marked out as the numbers are called. A newer bingo game is 80 ball bingo which is actually a blend of 75 and 90 ball bingo. With 80 ball bingo there are four columns and four rows and each column has its own colour. There are set patterns to look for on 80 ball bingo, and often the patterns are an X shape or four central squares. You can also play ‘cover all’ bingo, where the aim is to mark off all the numbers on your ticket. Whoever covers all their numbers before the 41st ball is called wins the game. This is bingo at its simplest and it is now a popular game on online bingo sites. Whichever form of bingo you play online, there’s no chance of missing out on a win if you have the right numbers. All sites offer an auto-daub function where the numbers on your cards are marked off by the software, so there’s no room for human error as there is in the traditional version of the game. The best way to decide what bingo games you like best is to try all of them on a few different sites. Most sites will let you play bingo for fun in demo mode, but if not, it’s quick and easy to register on a site and you can be playing for real within minutes.